Your Support team crushes tickets all day long, interacting with your accounts to solve urgent issues. The problem is, as a Sales or CS Rep it’s not easy to make sure you’re in the loop on high priority tickets. And it’s never a fun feeling to get on a call and be oblivious to a major unresolved issue. 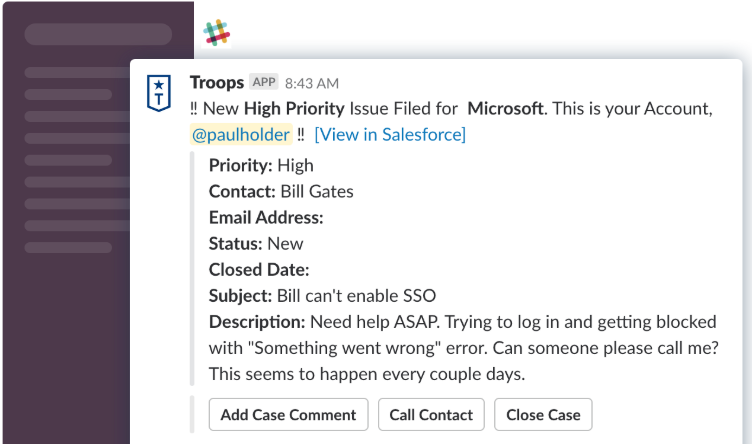 To solve this, teams are turning to Slack and Troops to automatically connect Support with Sales and CS. 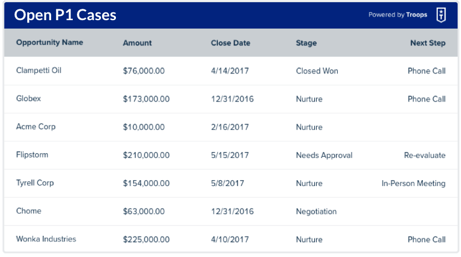 ​ You can even give your reps an automated digest of the tickets associated with their Accounts daily or weekly. Are you ready to better help your business team collaborate? Sign up for a free Troops account today.